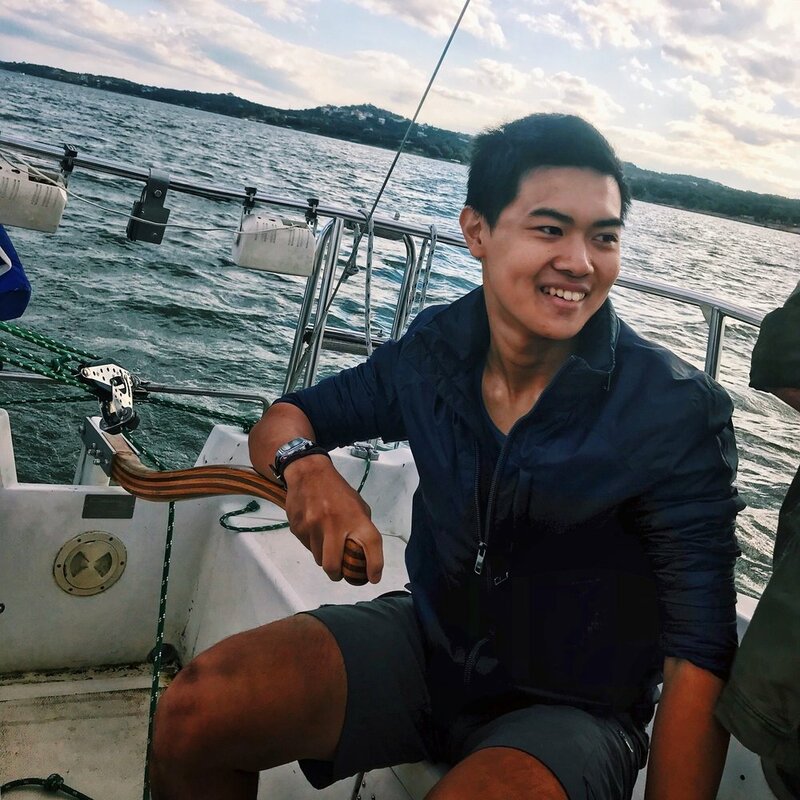 A sophomore in chemical engineering, Joseph initially developed an interest in sailing after beginning to build his own plywood dinghies in high school. After one semester with the club, he was made an officer before being promoted to commodore in the fall of 2018. He now spends his time between answering administrative emails and studying for his next exam. As a Filipino immigrant, Chris joined the sailing club as a freshman who wanted to learn a new manner in which to explore the world. He is currently majoring in Accounting and is in the process of figuring out what it truly means to live the American Dream. From all of the rules (and boats) he has broken since joining the club, he has become an advocate of making mistakes and empirically learning through experience. Preslie, a senior Psychology major and self-proclaimed introvert, joined the sailing club in her last year as a means of escape from working on her undergraduate thesis. She might never be able to figure out which direction the wind is coming from, but she finds solace in the fact that Excel spreadsheets and deadlines can’t swim. A freshman aspiring Aerospace Engineering major, Jordan initially joined the club and became an officer completely on accident. Still, he has loved ever second of UTSC on and off the water and plans to stay for many years to come. Stefi is a sophomore majoring in Biology & Journalism . She enjoys exploring Austin, kayaking, hiking, and Facetiming her dog, Arya, in her free time. Her first sailing experience was at Club Med Cherating Beach in Malaysia and joined UTSC after her first sail with the club. She still believes that there are alligators in Lake Travis.